Southbourne Surprise Good news or Bad? 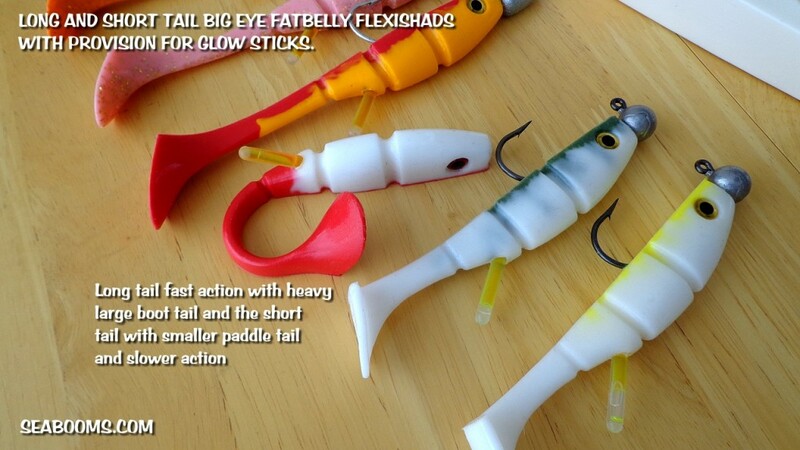 I make lures to catch fish Not To Catch Anglers !! 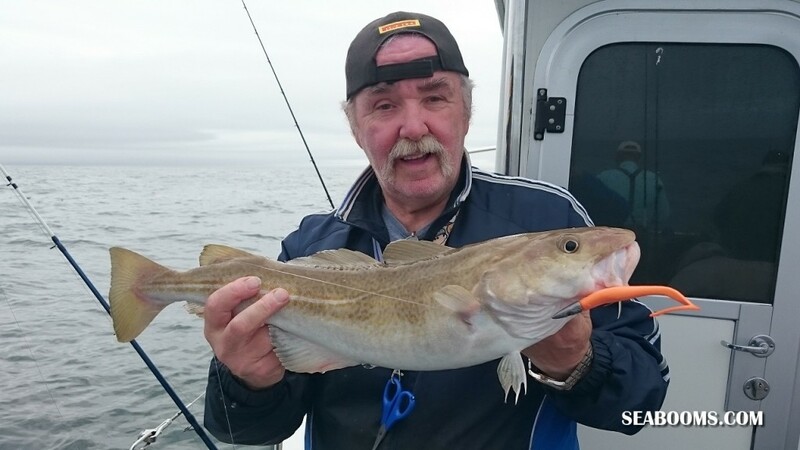 that comment so winds me up for the simple reason anglers aren’t dummies but fortunately many will try something new if it puts fish in the box. 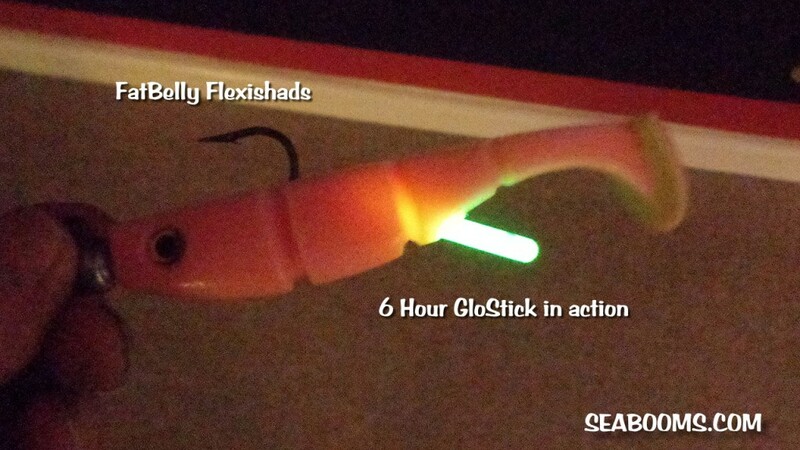 Now I have that off my chest I can discuss why I’ve spent time developing illuminated lures. 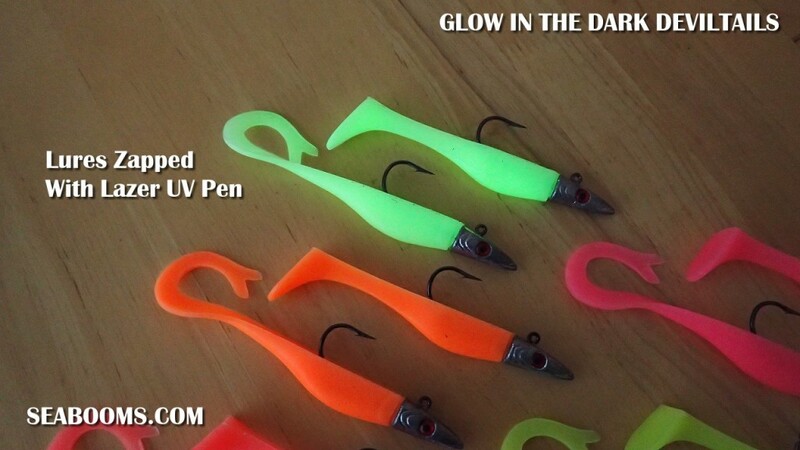 I’ve been deepwater wreck and reef fishing for many years and have always wondered if lures that emit light would give an increased catch rate over standard colours. Having seen video shot on wrecks at 60m / 200ft quite surprised at the amount of light there is at that depth, not bright but enough to say add some light attraction to lures and it just may induce more takes. 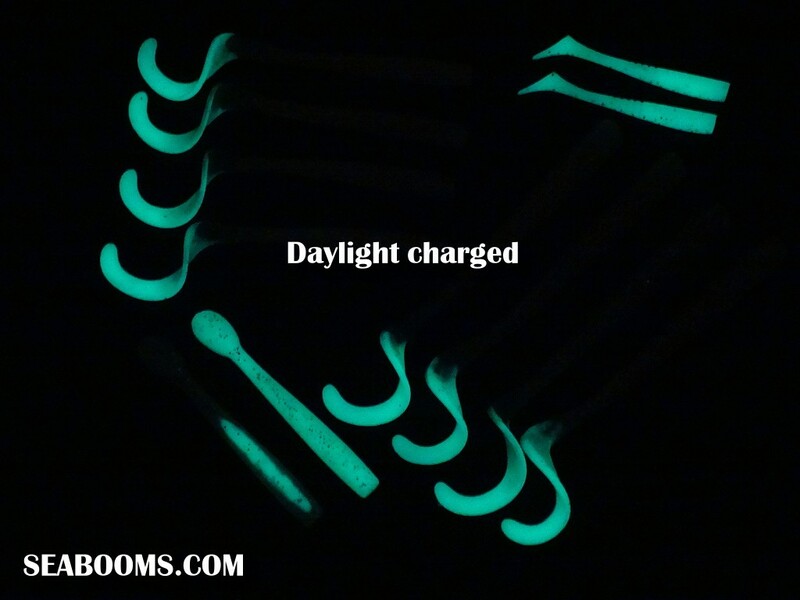 Daylight charged luminous lures have been around for years so that’s nothing new and my first idea was to use the snap and shake type glowsticks as they can emit light for 4 – 12 hours subject to their quality, cheaper ones have reduced time span but 4hrs is plenty long enough when drifting wrecks or reefs. 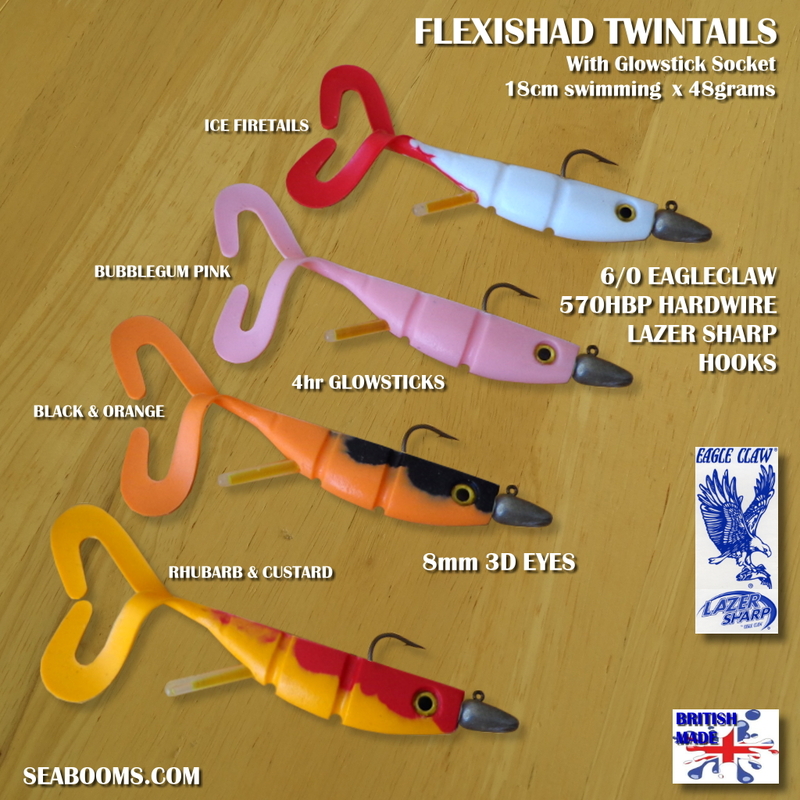 My Flexishad lure range the moulds were developed to provide a hole to insert the standard size glowsticks so you can use the lures with or without. 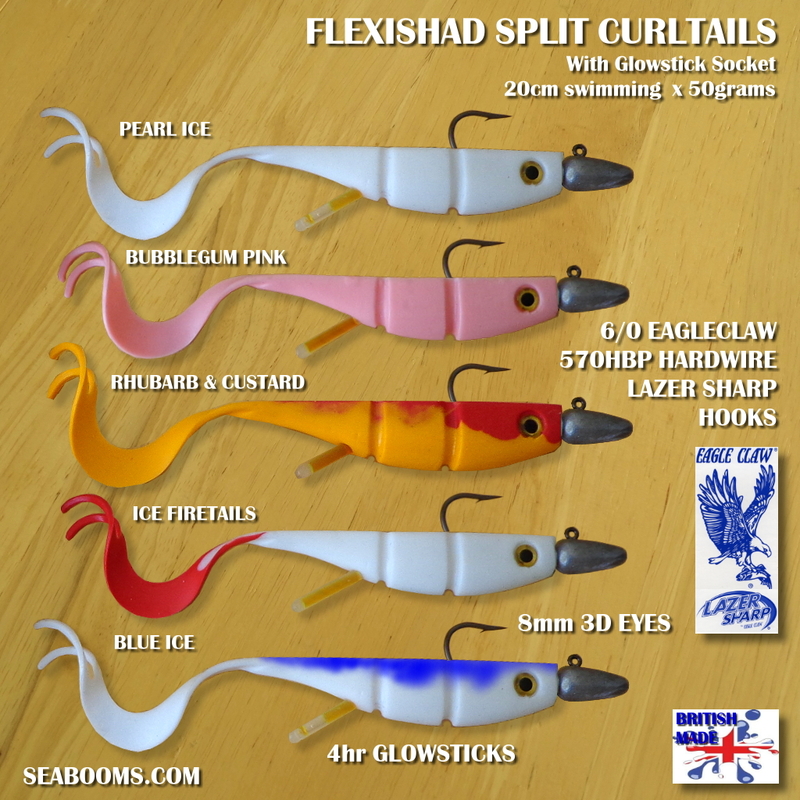 The pattern offers various design options so you have choice and going back to the statement “Lures to catch anglers” well you can buy just one to try you don’t have to buy set amounts at much higher prices plus it gives the option to mix colours, So There !! 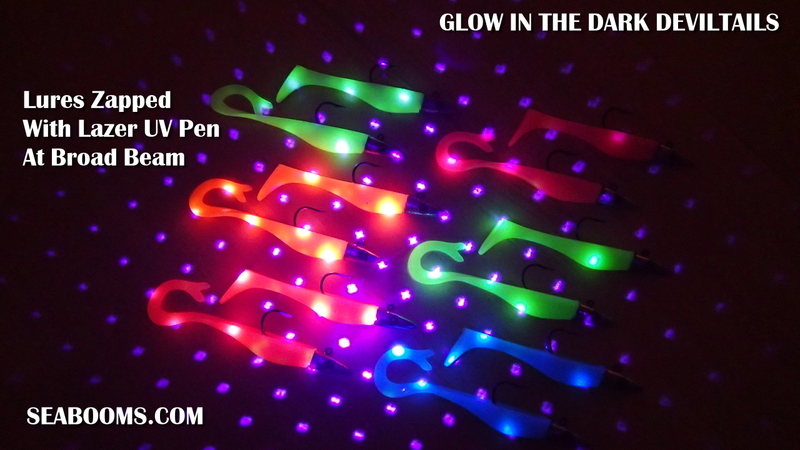 The glowsticks have worked well and are replaceable so you have to carry stocks with you that is the downside of that system, so next thought was to build in light emitting additives when I mould the lures. First option I tried is G.I.T.D. 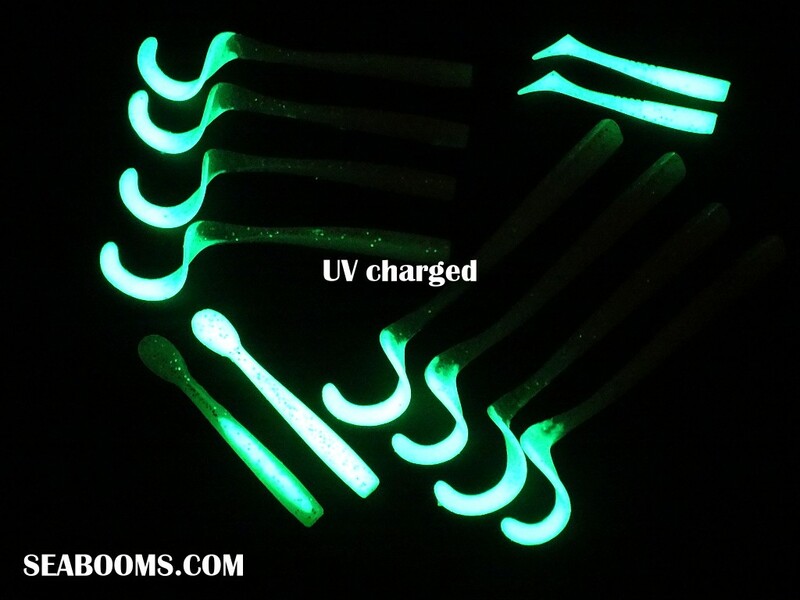 powders Glow In The Dark which are daylight charged and can be Zapped with small UV torches and UV lazer pens. Daylight charged is ok and light intensity varies with how bright the day is i.e. sunny bright or cloudy dull so that has a bearing on the charge. You can increase this by using LED torches and recently I acquired an additive that reacts well to UV light either from suns rays which can penetrate far deeper than light so will lift the colours of the lures naturally and from research it is known that fish react better to UV light than ordinary light so at least the fish will play ball. This system again is controlled by how bright the day is and clarity of water so it has drawbacks but in it’s favour light intensity happens naturally. 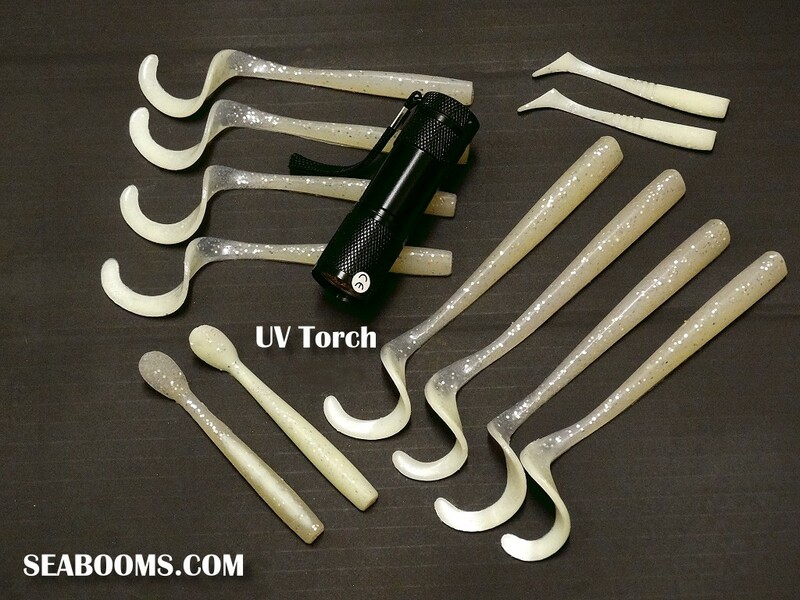 So more research and I sourced an additive that reacts to both natural light and can be zapped with a cheap UV torch to give that initial boost for each drift. 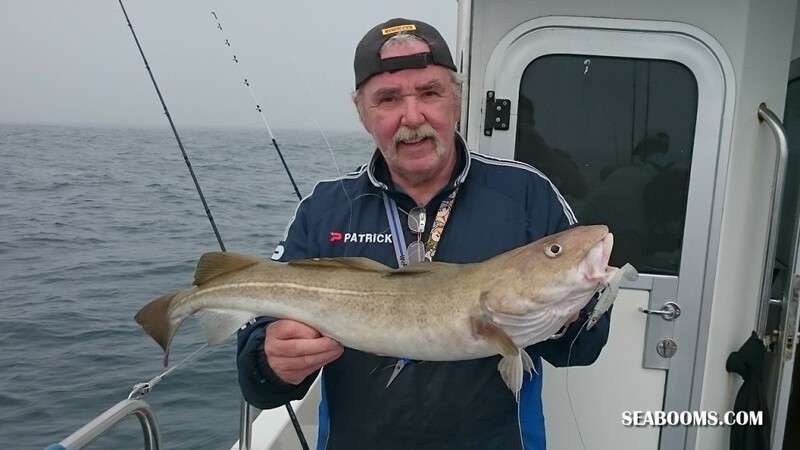 Colours were the initial issue as I could only find the standard green/white which was ok for sea trials and recently I found more colours in the range of now six, and colours that have been consistently catching in standard lures like orange, pink, red, rhubarb & custard, blue white etc. 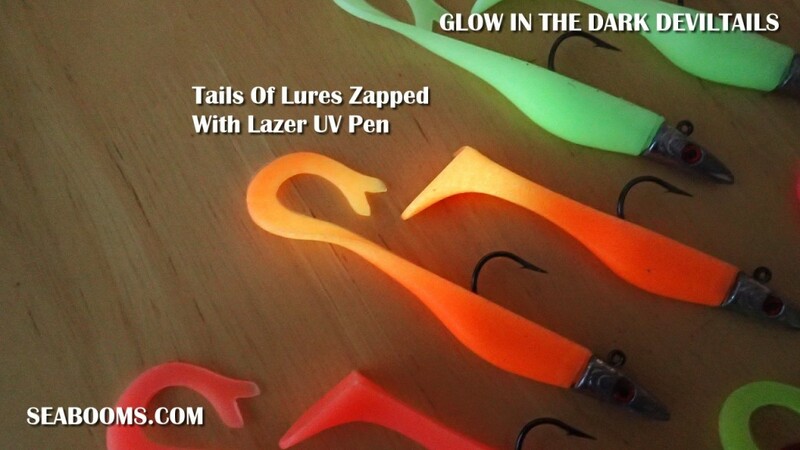 Zapping the lure for about a minute boosts the light energy long enough for a drift and with a Lazer Pen you can isolate where to zap like just the tail action for example or just the belly area so you can play with it. The other bonus is now I have my X2 silicone in place the semi transparent silicone rubber lends itself to accepting the additives better and you can mix the lure and just add it to the tails or the belly to create a variety of options and I offer that custom design option to anglers looking for non standard patterns if it’s possible to achieve I will try it, again lures to catch fish not anglers !!! The additives will be available across the whole range of my lures so you’re not restricted to just one design. 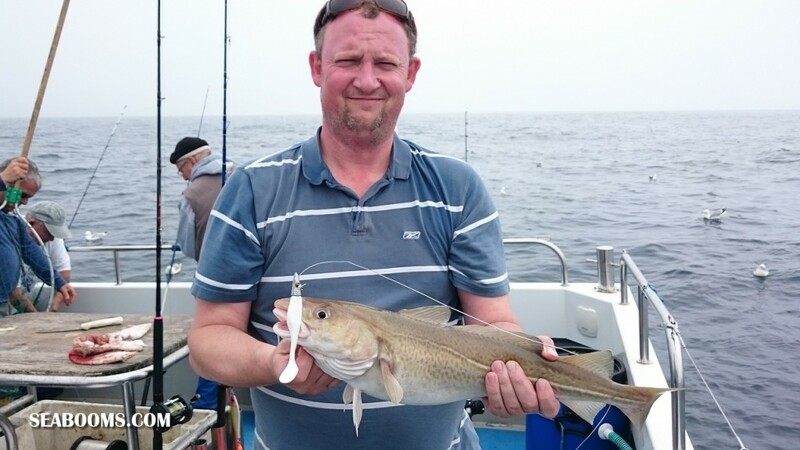 So that’s the options that have been arrived at this year and have had sea trials to find if they improve catch rates, now I can say and show they caught fish so no problems there. 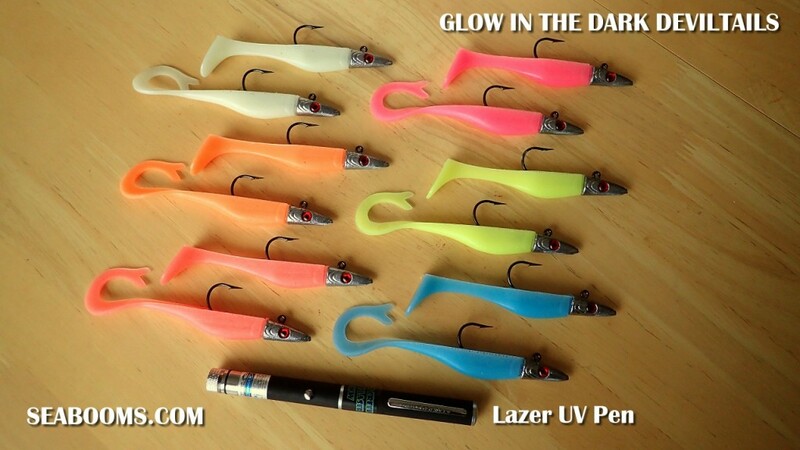 My main test criteria is when fishing is hard and other anglers using a variety of lures aren’t catching and I am and that has happened with these, but what I will be honest about is would the same lure in standard form have achieved the same catch rate as with lumi additives that I can’t answer 100%. 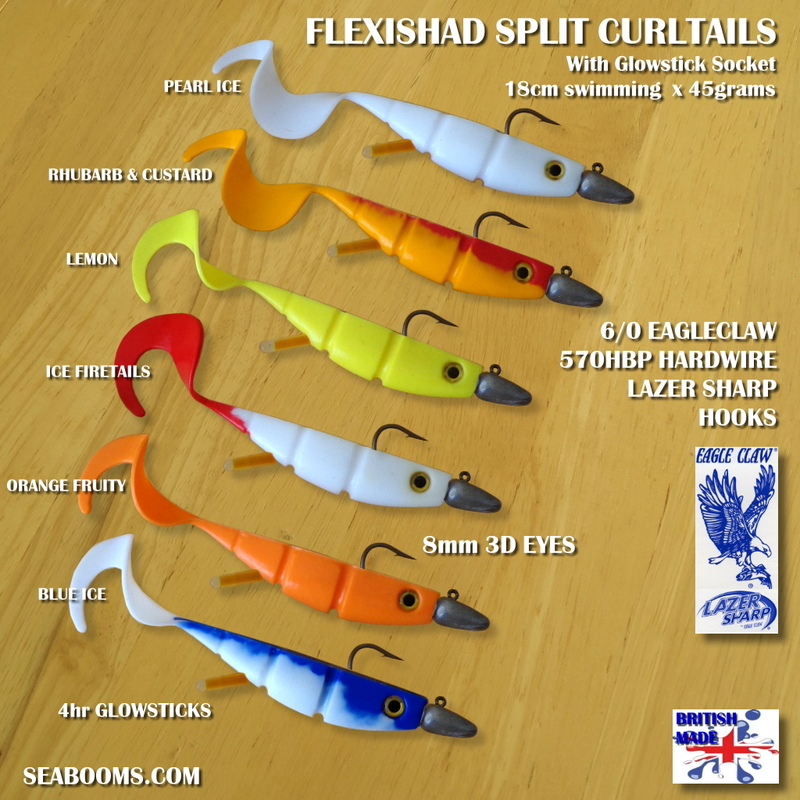 What I will say is I like to keep my options open so will have some of these in my lure box along with my other favourite colours to put fish in the box and then spend the rest of the trip playing with various new ideas, nothing ventured nothing gained as they say and you can buy just one lure to try but remember shipping costs are always going up so ordering one item can be costly and that is fact not salesmanship !! As this is always work in progress you can either visit my website here SEABOOMS.COM or keep up with me on my FACE BOOK page where despite to the annoyance of some, mainly competitors I’m always adding new posts about what I’m up to and that is called DEVELOPMENT !! I’m about to shoot video examples in action and that requires it to be done at night in my test tank, so when that is live I’ll update this post and add the links to my YouTube channel. I also have a Water Wolf camera that will go down on sea trials and capture some live catch footage when the water clarity is at it’s best to show the lumi lures in action. Thanks for following my posts more to come so hopefully you will find it of use.